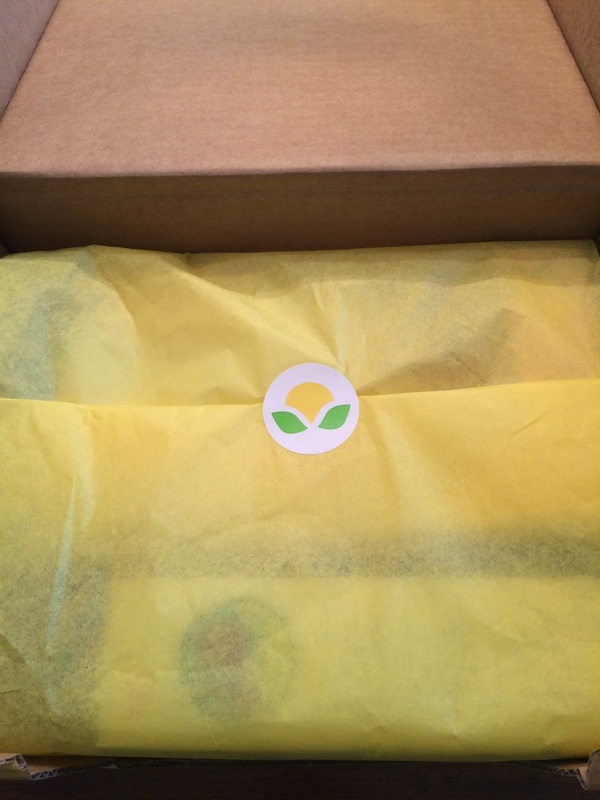 My 27 month old daughter's Citrus Lane box arrived. This month the items included were celebrating the fall when more time is spent inside. Bed and bath products were included to help out with those times of the day. I had no idea what to expect this month, because I didn't receive any e-mail to choose a product of my choice. And I didn't look at spoilers, so I had no idea what I would see in this box. Citrus Lane always includes an information card explaining everything in the box. This box didn't seem very full this month, but I was liking what I saw when I opened the tissue paper. 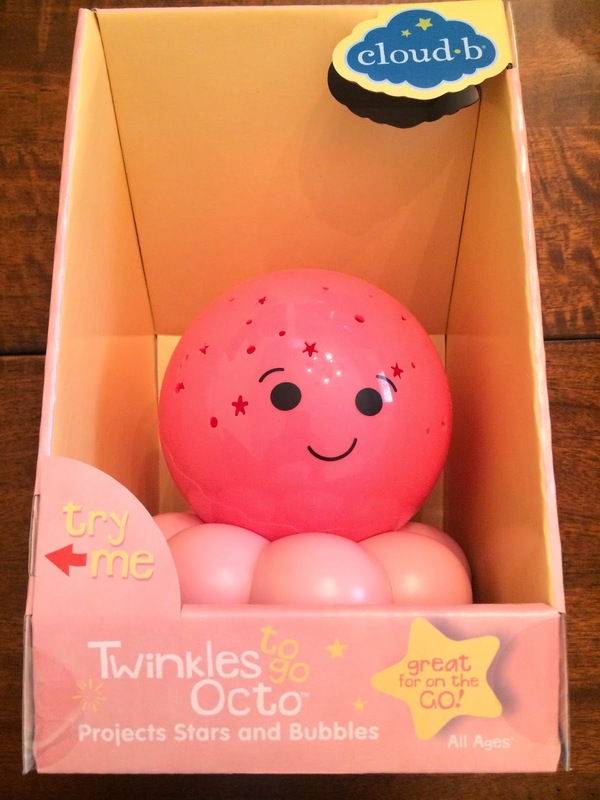 The first item included was Twinkles To Go from Cloud B in pink. This is a really cute nightlight that projects stars and bubbles. It's so adorable and will go in her room perfectly! We do already have the turtle that projects stars, but this actually looks better in her room, so we may be moving the turtle so this one can take it's place. The next item was something we ripped open immediately and used right away. 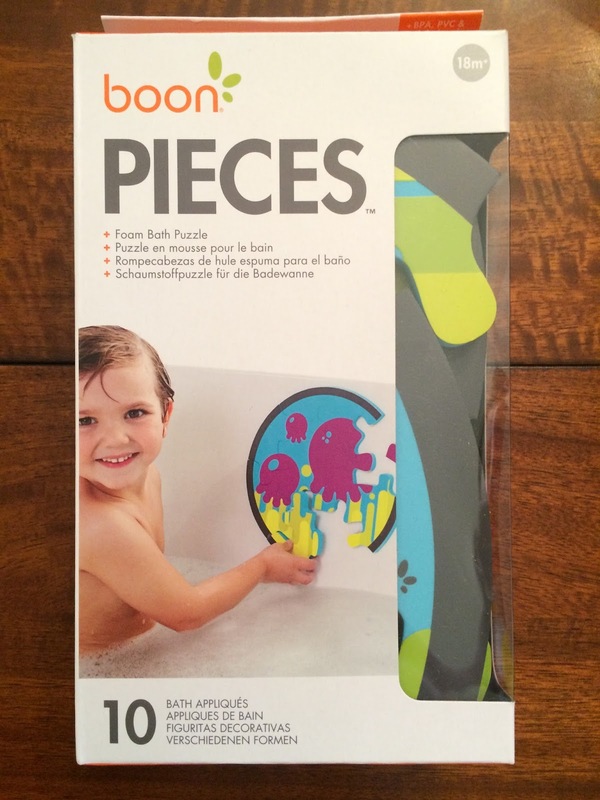 The Pieces Foam Bath Puzzle from Boon is a fun puzzle that sticks to the wall of a tub. My daughter is always excited about a new bath toy! We worked to put the puzzle together, but once she found out how great the pieces were for splashing me with water, it turned into a much different game with lots of giggling. 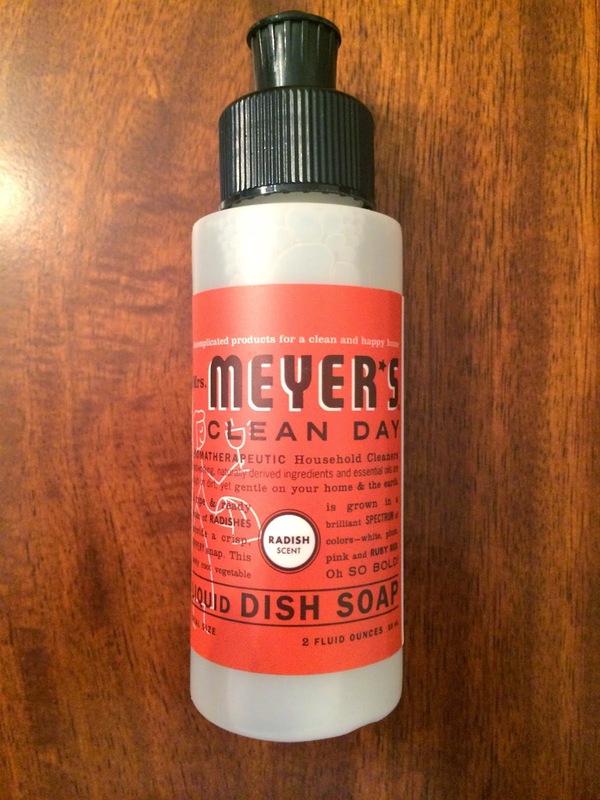 We also received the Radish Dish Soap from Mrs. Meyers. I wasn't sure what this would smell like, but I like it! It's different and will definitely be used. 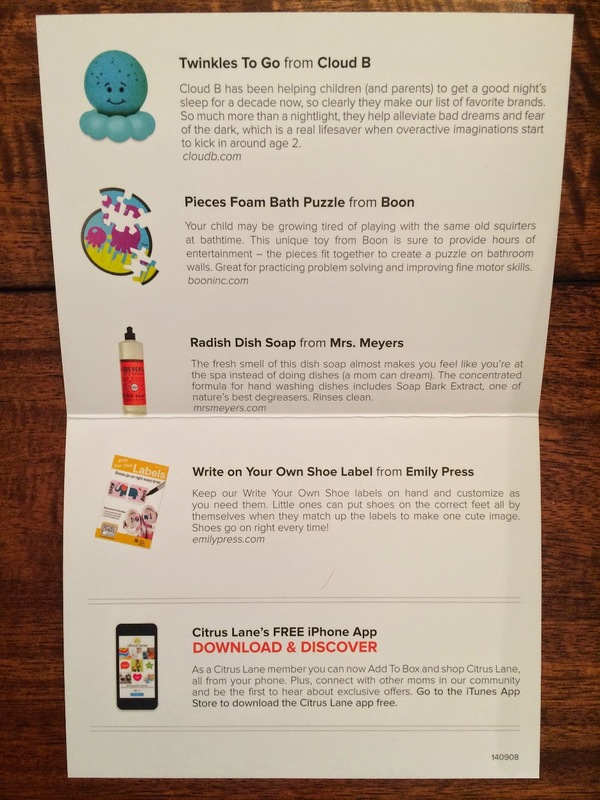 The final item included in this month's box was Write On Your Own Shoe Label from Emily Press. 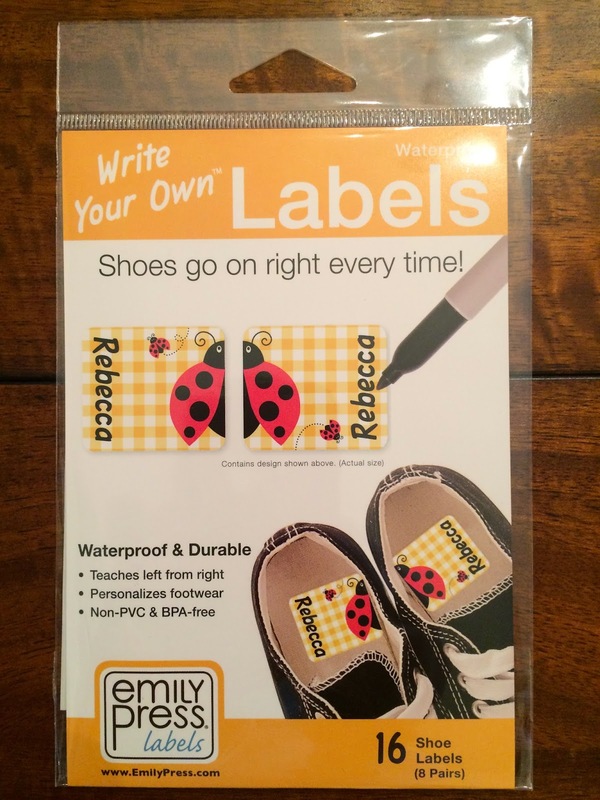 These allow kids to match up the image on the label so shoes go on the right feet. It's such a cute idea! I love everything in this month's Citrus Lane box! It felt a little emptier than some months, but I know we will use every item, so I'm very happy with it. I always love getting new and different things I wouldn't think of buying and don't already have. I can't wait to see what next month brings!